APACHE JUNCTION, Ariz., Feb. 11, 2019 /PRNewswire/ -- John Arthur Bigler, DDS is recognized by Continental Who's Who as a Pinnacle Professional Member in the field of Healthcare in recognition of his role as a General Dentist at Canyon Vista Dental Care. Devoted to offering their patients quality health services, Canyon Vista Dental Care provides a comprehensive range of general and cosmetic dental solutions to patients of all ages including sedation dentistry, the fitting of crowns and bridges, root canal therapy, endodontic work tooth extraction, teeth whitening and the application of traditional and Invisalign braces to name a few. Comprised of a team of experienced and friendly healthcare professionals, Canyon Vista is steadfast in their efforts of creating a safe and relaxing environment for their clients in an effort to address their dental concerns. To better serve their clients and accommodate their financial needs, the dental office offers a variety of financial billing options. Utilizing the latest advancements in technology within the dental industry, the team at Canyon Vista ensures that their patients receive a thorough visit every time. Having gathered over twenty three years of experience in the field of Dentistry, Dr. John Arthur Bigler is a renowned expert within the field. 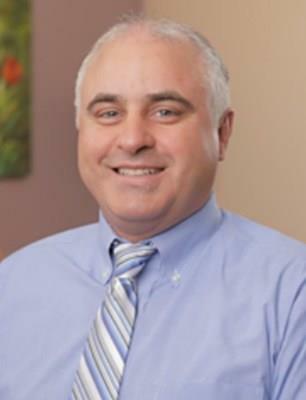 Throughout his career, Dr. Bigler has specialized in dental sleep medicine, the effective treatment of sleep apnea and other various dental healthcare services to better serve his clients. He attributes his success to his access to continuing education courses and having great mentors throughout his journey. When asked his advice for newcomers within the field, Dr. Bigler believes that, "graduation is the opening of a door. Get as much continuing education as possible." Early in his career, Dr. Bigler graduated from the University of Colorado Hospital located in Denver, Colorado. In recognition of his professional achievements, Dr. Bigler was the recipient of the 2017 Top Doctor Award. When he is not working, Dr. Bigler enjoys indulging in outdoor activities including hunting and fishing. In addition to his enjoyment of reading non-fiction, self-help, and business books, Dr. Bigler enjoys spending quality time with his children. Dr. Bigler would like to dedicate this recognition to Elwynn Caffall, DDS, Frank Spear, DDS, and Chris Neibauer for their excellent mentorship over the years.